The all-new 2017 Toyota 86 Coupe has finally arrived in the United States where it will have a starting price of $26,255 in the six-speed manual and $26,975 in the automatic transmission. 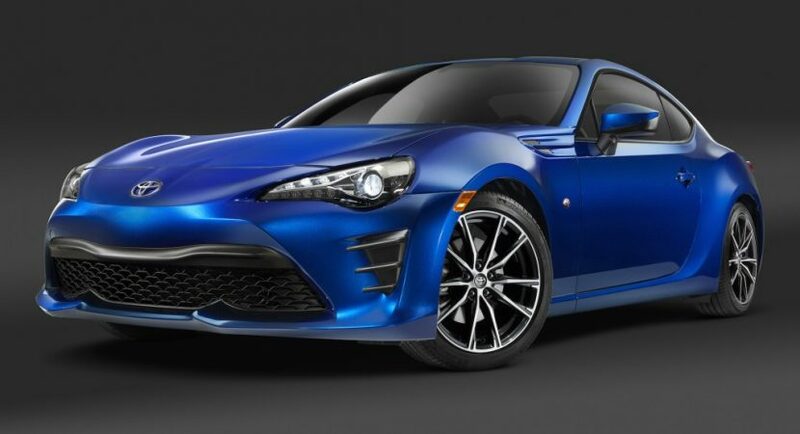 For these prices, the 2017 Toyota 86 Coupe is adorned with plenty of goodies which would make jealous even a Scion FR-S owner. Speaking about features, the model is standing out from the crowd with some tweaks at the exterior, including bigger center intake which improves its aggressive look, along with the new LED headlamps, sculpted rear bumper, all complemented by the brand-new alloy wheels. The cabin has also received some goodies, like the “Granlux” trim on the instrument panel, custom steering wheel with integrated audio control and higher-quality materials. In the engine department, the 2017 Toyota 86 Coupe is making use of a 2.0-liter flat-four boxer engine, now developing 205 horsepower and 211 Nm of torque. Besides the good performance, the model is also set to come with extremely low emissions and improved fuel-efficiency. We are looking here at EPA ratings of just 23 mpg in the city and 32 mpg on the highway, all achieved in the auto, while the manual is even more efficient, with 20 mpg in the city and 27 mpg on the highway.